Some of you may know that I'm a skincare junkie. You may also know that I've talked about Caudalie skincare quite a bit on both my Instagram and blog, so you can imagine how excited I was to receive these from the fabulous Love Me Beauty. The products in this box are all about updating your skincare routine and even mixing it up by combining some of these products! As I have acne-prone and oily skin, I always have to ensure my skin is squeaky clean, so these products are perfect for me! Caudalie is known for being a brand which uses natural ingredients which are perfect for even the most sensitive skin. This is perfect for me, as my skin is easily set off by certain products, causing it to break out in a crazy way. 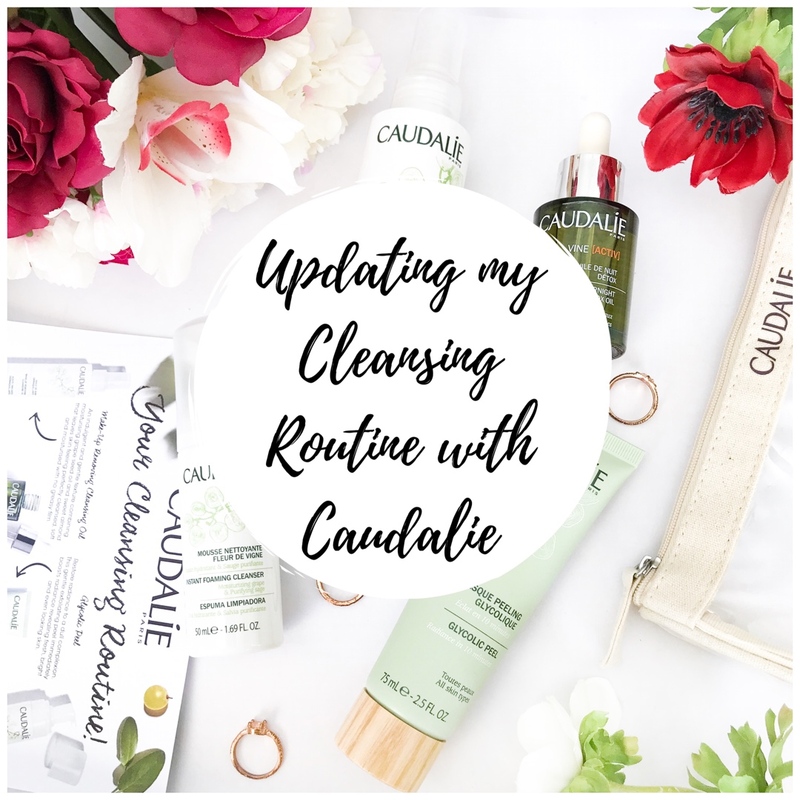 I've always noticed that Caudalie products have a very light, fresh scent, nothing crazy or overpowering at all, but still a little something that makes them even more enjoyable to apply. So, let's get into the best bit of this post... the products! Foaming cleansers are perfect for oily/combination skin, as they are very light and don't contain any overpowering hydrating ingredients. 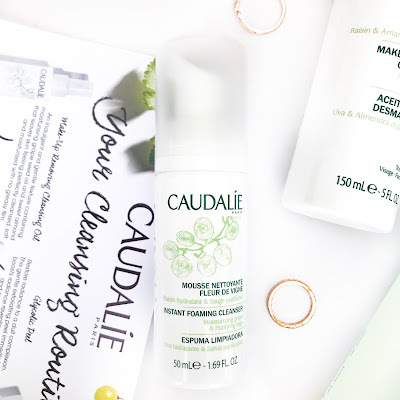 I loved using this cleanser as my second cleanse, after removing my makeup with micellar water or the cleansing oil which I will show you soon! I used 2 pumps of this just to ensure I could thoroughly cleanse my skin. It is super quick to use as you don't have to lather it up, and I love how gentle it was on my skin. It made my face feel very soft while also having a light matte texture, with no oil whatsoever. So if you need a light cleanser, this will be perfect for you! I had never used a cleansing oil before this, I was always just a micellar water girl because the word 'oil' kind of scared me, seeing as my skin is literally oil central. However, I've actually almost become converted to using an oil over my micellar water. I think I'll alternate between the two depending on how I feel, but I'll definitely be bringing this on holiday with me to avoid bringing mountains of cotton pads to last me 2 weeks! I find a cleansing oil so much more enjoyable than using micellar water, as you just apply some pumps of it to your palms, rub them together and then blend it into your face until you feel like all your makeup is off. It's a lot quicker because you can do this at the sink and then wash it off and do your second cleanse straight away. The smell of this is very gentle, it actually smells like almond to me! I was sceptical of how well this would actually remove a face full of makeup, but it did this effortlessly and made my skin extremely smooth, ready for the rest of my routine. If you're looking to try a cleansing oil, I'd definitely recommend picking this one up! This is another product I'd never used before, so I was very intrigued to try it. The name sounds slightly scary and I thought it meant that it was a peel-off mask, but it actually means it gently exfoliates your skin while applied, and you simply rinse it off! This Glycolic Peel is perfect if you want your skin to be a little brighter. I left this on for about 10 minutes and after rinsing off, my skin felt very smooth and fresh, and it actually did have a more youthful glow to it! It didn't irritate my skin at all or make it oily, so it's definitely something I'd recommend to anyone! Even though I have oily skin, I often get dry patches, especially on my cheeks and depending on the weather, so I like using a serum or oil to correct that. This product is a dry oil, meaning it feels really interesting on the skin; like an oil but not the kind that would slip all over your face and not sink in. It sinks in very quickly but still leaves a soft feeling on the skin. The product is formulated for working on your skin while you sleep, detoxifying it for the next day. When I wake up after using this, my skin still has that soft feeling and also looks super glowy, but it wasn't too much for my oily skin, especially after washing my face. I've loved using all these products to ensure my skin is looked after and thoroughly cleansed. 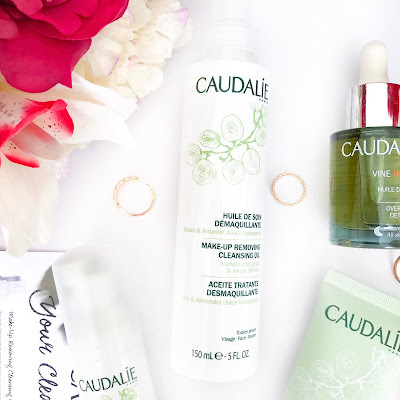 They're perfect for sensitive skin and have great natural ingredients, so I would definitely recommend these products to anyone, along with the brand itself, which has become one of my fave skincare brands of all time! 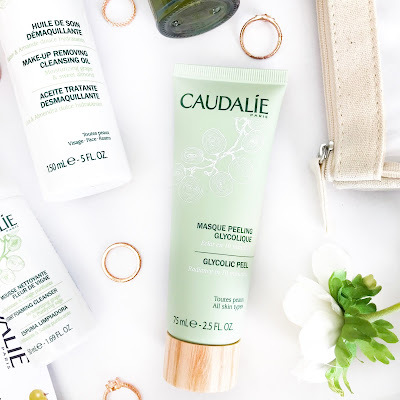 Have you tried any Caudalie products? Let me know below! Disclaimer: items in this post were gifted to me for reviewing purposes; all opinions are my own. It's so important to incorporate some sort of skincare routine. Glad you found several products to help achieve that clear face! I never used Caudalie before but like the results, it's giving you! You don't mess around with the collection! Glad you enjoyed them - I have to check it out when I run out of my products! Thanks for sharing :). These products sound amazing! I have never tried this brand but have had so much hype! I definitely like the sound of the Glycolic Peel! I've definitely seen these products around but can't say I've ever properly looked into them! The bottles are gorgeous and I'm really loving the sound of the cleansing oil. 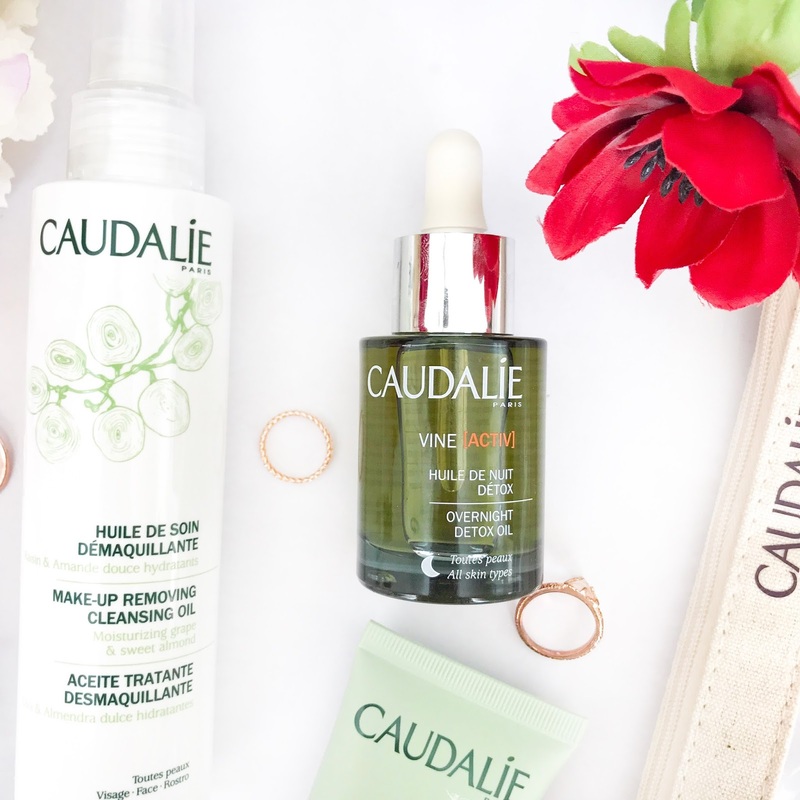 I'm always on the look out to try new skincare products and if they're good for sensitive skin then they're right up my street, great review! The Makeup Removing Cleansing Oil is my absolute favourite! I love the smell and it melts my makeup off effortlessly. The Detox Oil is heavenly too! The Glycolic Peel and Overnight Detox Oil sound amazing, I'm all about products that brighten your skin and make it all glowy and hydrated. I'll definitely be checking these out.